If you’re shopping for the best inside the waistband (IWB) holster on the market, you’re in luck! There have simply never been more options available on the market for this style of holster at any time, there are many manufacturers producing stock holsters ready to ship to you or to pick up in gun stores without having to wait for custom holsters for your pistol. 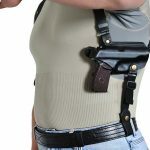 The variety on offer though can be confusing at times and you may have to do some research in advance to make sure you get the best inside the waistband holster for your needs. 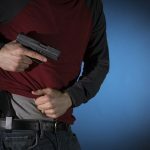 This article should help with your research and we’ve compiled a list of the best inside the waistband holsters as well as a few tips to make sure you know how to get the right one for you! Inside the waistband carry certainly isn’t for everyone. However, it is the most common form of concealed carry by a very wide margin. 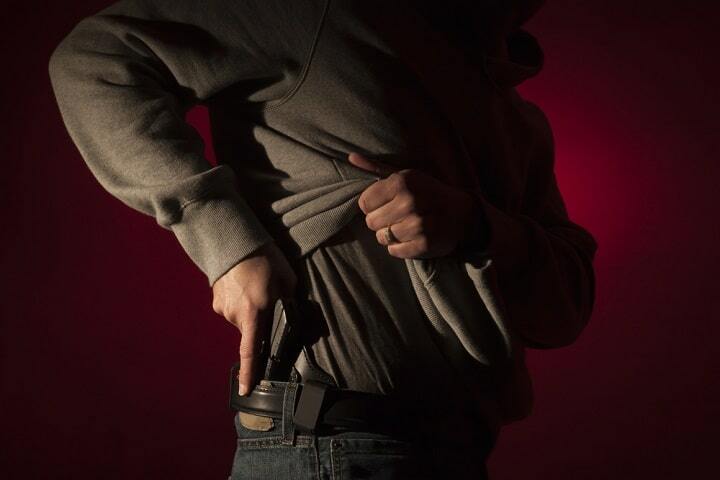 Carrying your pistol between you and your pants allows for much easier concealment than carrying outside. 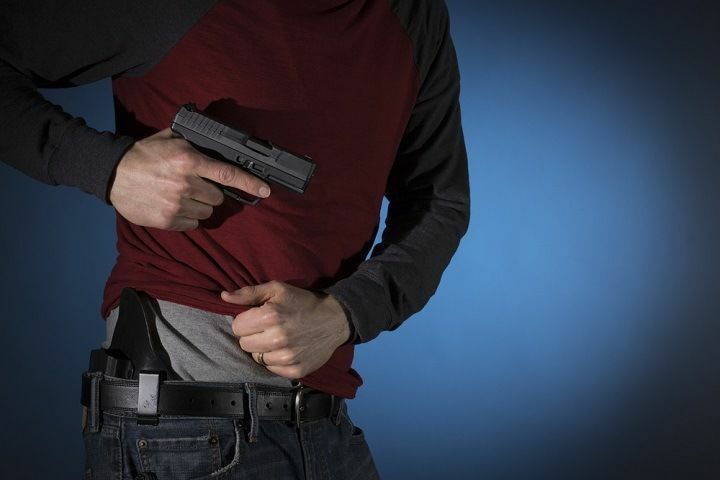 Outside the waistband carry requires jackets and coats to cover up your pistol whereas inside the waistband can be carried with nothing more than an untucked shirt to disguise the print of the pistol. To reduce unnecessary ‘printing’ a holster which doesn’t add too much bulk to your pistol is essential so you should look carefully for a thin holster to aid concealment, but also to avoid stretching your pants out of shape and fitting too tightly between your belt and body. If it’s too snug it will become very uncomfortable quickly. Uncomfortable holsters get left at home and that’s not the point of concealed carry. Even full-size steel frame 1911 pistols can be carried comfortably inside the waistband with the proper belt and holster combination. You may have to try a few different models before you settle on something that is comfortable for you but do make an effort to find the holster that works for you. Concealed carry is about being prepared to defend yourselves and your loved ones, giving up on it because you can’t find the perfect holster would be a shame, check out some of the holsters featured here and we’re sure you’ll find one you like. When choosing an inside the waistband holster you’re going to want the most comfortable one you can get your hands on. This holster by Alien Gear is an excellent example of a holster that is ready to go right out of the box. Alien gear make composite holsters from multiple materials such as leather and kydex to combine the rigidity of the kydex and the softer comfort and traditional feel of leather. The secret to these holsters being so extremely comfortable is the suede leather that contacts your skin, supported by the polymer and Kydex construction that secures your gun while allowing for a fully adjustable and load bearing design. Essentially with this holster, you get the comfort of leather with the security and ease of use of Kydex. The dual belt clips are adjustable in all directions and are extremely comfortable no matter what you’re wearing. The only downside to this holster is the cost and bulk associated with the composite design. If you are going to be carrying in a light T-shirt consider a slimmer design, but for the majority of people, this is going to be an excellent holster. Concealment express is a small Kydex company that makes some of the best and most easily accessible products on the market. Not only do they produce fine kydex holsters but the great thing about Concealment Express is the fact that they are veteran owned and run company and manufacture their products in America and they are concealed carriers themselves. When you pick up one of their holsters you instantly recognize that they were designed by people that really know what is required from a concealed carry holster and that have used these holsters extensively. The designers clearly understand that adjustable retention and heavy-duty belt clip are not simply options but essential aspect of an effective holster. If there’s a single gripe about this holster it’s the plastic clip which might not seem as sturdy or secure as a metal belt clip. However, the plastic clip will never scratch your car or furniture or tear your clothes unlike the alternative metal clip. This is an excellent inside the waistband holster for concealed carry because it combines minimal bulk with a rugged design and from a purchasing perspective the express shipping offered is a nice touch. Consider these holsters from concealment express for one of the best inside the waistband holsters on the market. In a market where it’s hard to tell one manufacturer’s Kydex holster from another getting a great price on a great product is paramount. This is an excellent option for an inside the waistband holster from CYA supply company. It is designed to be used in a multitude of carry positions and is made from a single piece of wraparound Kydex with adjustable retention and a plastic belt clip. 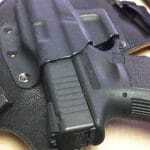 The great thing about this holster is that while it is still Kydex, and well-designed at that, it is inexpensive. Many Kydex holsters cost several times what this holster costs and you can get this one immediately. No waiting for the manufacturer, these excellent holsters are in stock ready to go. If you’re going to be carrying a gun this versatile and simple design allows it to be carried in nearly any position and the low-price and multitude of designs for different firearms means that if you need holsters for more than one pistol you can afford one of these for every single one. The only downside to this holster is the bulky retention adjustment and the plastic belt clip. The clip extends further out than it needs to to securely attach to a belt and it can print slightly while not offering the best hold on pants or belts. Make sure you practice drawing your gun to see if there is both adequate retention on the firearm and on your belt so you don’t draw smoothly and not end up with the holster still attached to the gun when you draw. If there’s a hero in the holster world, it is Velcro. No other manufacturer even comes close to the number of models and designs that Galco offers, and you can't beat the quality. Offering several dozen different inside the waistband holsters this genuine leather holster is one of their most comfortable and affordable options for the everyday concealed carrier. One of the things that sets this holster apart is it’s integrated thumb break. Genuine leather does not have a reputation of being the most secure holster material and the addition of a high-quality snap thumb break makes this an excellent option for someone to make sure their holster retains their gun if they have to run. Of course, genuine leather comes with more maintenance and you’ll have to stay on top of conditioning and drying out this holster or it may cause rust on your gun, but you won’t have to worry about a kydex holster wearing out your clothes or scratching your gun simply by carrying it. This is an excellent option for someone who wants a high-quality leather holster but doesn’t want to pay top dollar. Concealed carry holster and guns are getting smaller and lighter and constant innovation is furnishing them with better and better features all the time. Kydex holsters are currently some the best offerings for the everyday concealed carrier but this company has brought back an extremely small design in injection molded plastic that is sure to be an excellent option for modern single stack pistols. The great thing about this holster is that it cuts so much weight by focusing on the one thing above all else that a holster needs to do; it protects the trigger of your firearm and trims weight off construction in all other areas. It’s designed for the most common concealed carry pistols on the market and is the absolute smallest holster you could possibly find. This single piece of injection molded plastic is adjustable for both retention of the gun and the holsters own retention on your belt. The belt loop is slightly oversized to make it easier to get on and off and adjust it whilst on your person and this is primarily designed for carrying in the appendix position inside the waistband. Several Kydex versions of this holster are available but pale in comparison with the weight distribution and ruggedness of this product. If you carry a small single stack pistol this is an excellent option for summer carry under light clothing or deep concealment. 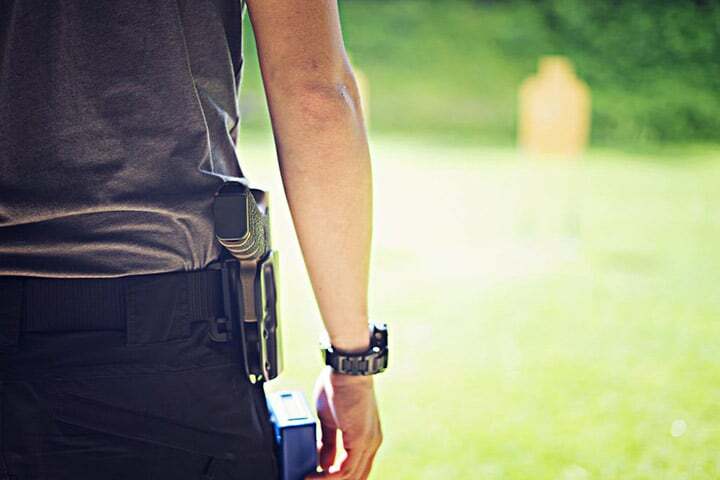 The company has plans to extend their lineup of holster options to include more firearm manufacturers and this is going to be an exciting product to watch in the future. Most holsters feature a clip or a loop to secure to the holster to your belt. Depending on your experience in concealed carry you will begin to favor one or the other. Belt loops have a more reliable method of attaching to your belt and are more reliable overall. 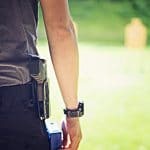 Having a secure connection to your belt allows you complete confidence that you won’t lose your gun, the holster can’t be snatched away from you or fall of if you have to run or get it caught on your clothing or as you get into or out of a vehicle. Clips have come a long way and are more and more popular as they allow you to easily remove a pistol while still keeping it safe inside the holster. Do make sure you find a high quality clip though that attached securely to your belt or pants. Also consider the extra bulk that these clips can add outside the waistband and make sure you find one that doesn’t protrude too far away from the main body of the holster. 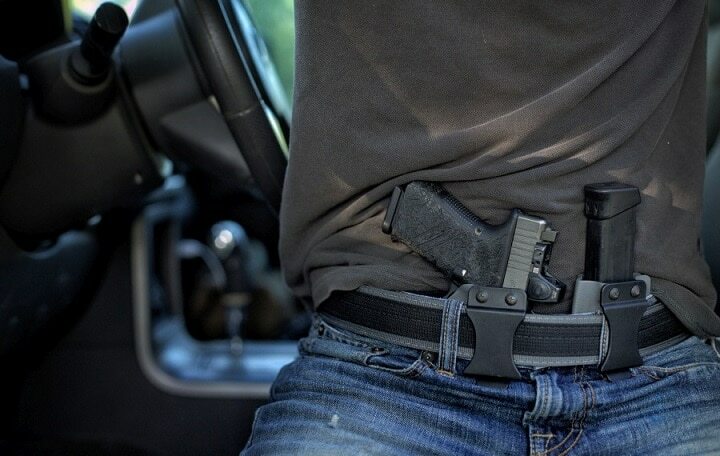 If you’re concerned about having a holster stay in place, use a belt loop. Once you slide your holster on to your belt you’re good to go. Clips are faster to put on and off but you have the added complication of being prone to fail at the worst possible moment. Looking for a new inside the waistband holster doesn’t have to be stressful. The best IWB holster is out there and has never been easier to access. Look at the different holsters that you like and try a few of these options out to find the very best one for you. Overall, the market is filled with excellent holsters that will serve you well and if you stick to one of the five on this list you can’t go wrong!